To comfort young nappers, the Teddy Bear afghan is a soothing choice. 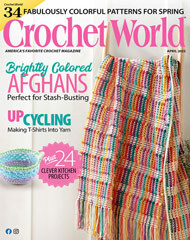 Stitched in squares, it's perfect for crocheters who enjoy taking a project wherever they go! Size: Approx 40" x 56".